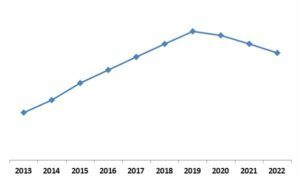 According to a new report Global Virtual Training & Simulation Market, published by KBV Research, the global Virtual Training & Simulation market is expected to attain a market size of $315.1 billion by 2022, growing at a CAGR of 17.2% during the forecast period. Simulation technology finds its application in aviation, military, medical science, and navy. The levels of awareness would eventually rise and the adoption of the technology would witness significant rise among different end users. Among the various industries using the technology, the education industry would grow the fastest and register high CAGR during the forecast period. The growth would be attributed to factors such as supportive government initiatives, increased spending on e-learning, and rise in adoption of game-based learning solutions. The hardware segment has been the market leader holding about 70% revenue during 2016. Due to factors such as higher adoption in education, civil aviation, and healthcare industry, the segment would grow at a CAGR of 14.5%. Within the hardware segment, North America was a dominant region during the year 2016; whereas, Asia-Pacific is expected to grow at the fastest CAGR of around 17.6% during the forecast period. Asia-Pacific would be the fastest growing region, and would register highest growth rate of 20.3%. North America held a market share of about 36% during 2016 and would grow at a significant rate during the forecast period. The report has exhaustive quantitative insights providing a clear picture of the market potential in various segments across the globe with country wise analysis in each discussed region. 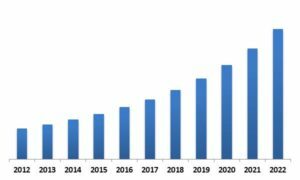 The key influencing factors of the global Virtual Training & Simulation market have been discussed in the report along with the elaborated company profiles of BAE Systems, CAE Inc., L-3 Link Simulation & Training, Cubic Corporation., ON24, Inc., QinetiQ Group plc. , ANSYS, Inc. and Kratos Defense & Security Solutions, Inc.